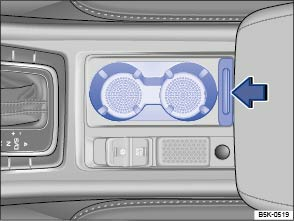 There are various versions of the drink holder in the front centre console. 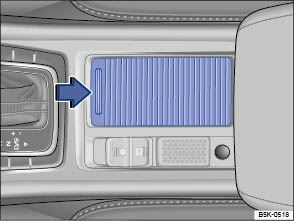 To open, push the cover in the centre console cover to the rear . To close, push the cover in the centre console cover to the front .